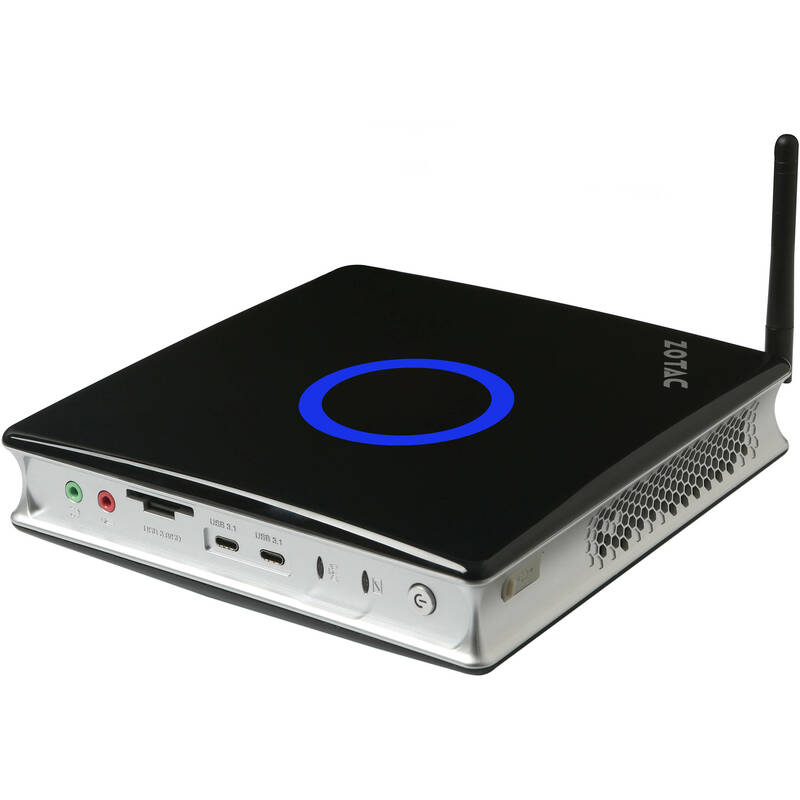 The ZBOX MI526 Mini Desktop Computer from Zotac is a compact, barebones system designed for space-efficient computing. It's equipped with a 2.4 GHz Intel Core i3-7100U dual-core processor and multiple connectivity options including USB Type-C, USB Type-A, HDMI, and DisplayPort. To start using it, you will have to install your own 1866 or 2133 MHz DDR4 SO-DIMM RAM, a 2.5" storage drive, and an operating system such as Windows 10. Other built-in features include an SDXC media card reader, two Gigabit LAN jacks, 802.11ac Wi-Fi, and Bluetooth 4.2. For your convenience, it comes with a stand for upright use and is VESA-compatible for alternate mounting options. As a semi-barebones system, this ZBOX does not come with RAM, storage, or an operating system. Please note that you will have to install your own. The Zotac ZBOX is a compact system with a small footprint match. It's ideal for everyday tasks like browsing the internet, composing and editing documents, and streaming online videos. Connect to the internet via 802.11ac Wi-Fi or the Gigabit Ethernet port for a more stable and reliable wired connection. Box Dimensions (LxWxH) 13.0 x 13.0 x 3.6"